lightharmony Beautiful, photogenic country of Podpolanie with typical narrow mountain fields. Photo taken under morning contrejour lighting, which perfectly helps to render this type of country. Today we fight for acquiring grants from EU for farmers, who are given no grants when cultivating such a small fields. Otherwise it has to be ploughed-up to large fields, what could lead to massive erosion and total devastation. Only solution for this country is to be inscribed in the Unesco World Heritage List and obtain exception for farmers. 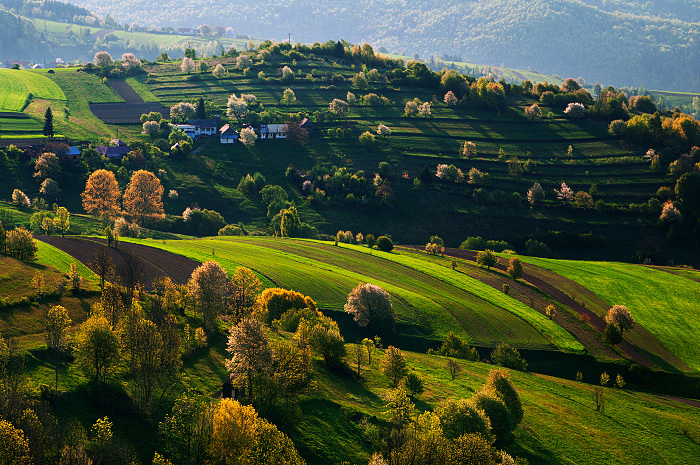 Beautiful, photogenic country of Podpolanie with typical narrow mountain fields.